At Brilliant Earth we spend our days helping couples select the rings that symbolize their love and commitment, and designing rings that capture their individual styles and personalities. 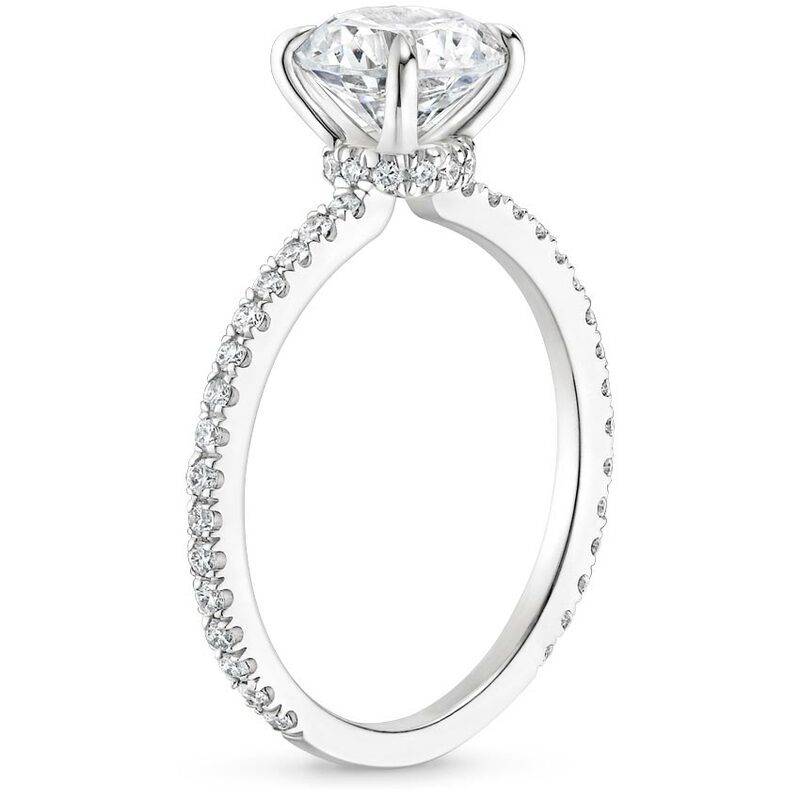 We are among the very first to see engagement ring and wedding ring trends as they emerge. 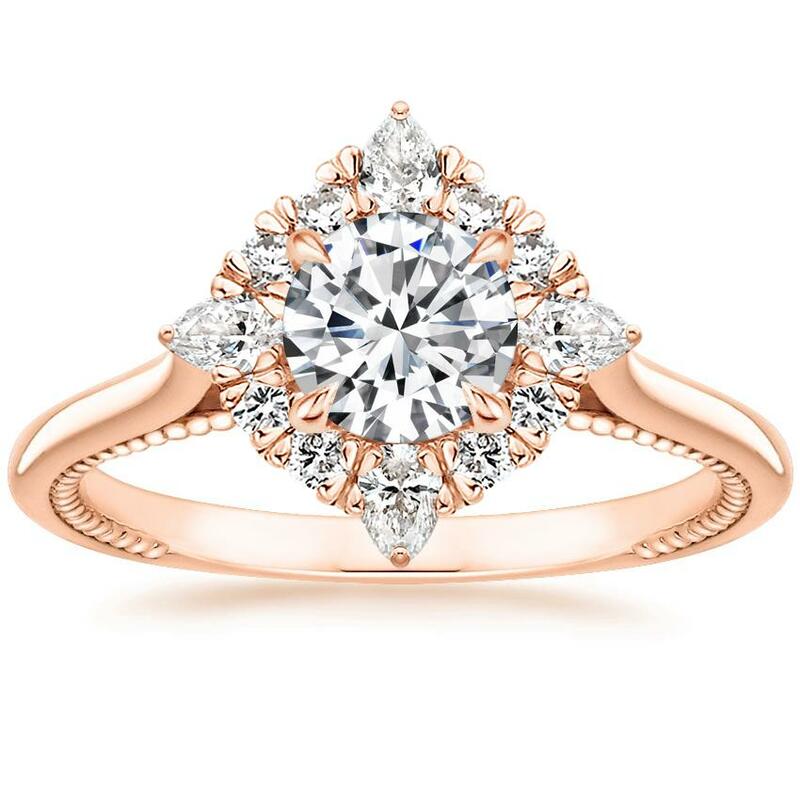 Below are a few things we’ve noticed about the popular engagement rings we are loving now and trends that we expect to stay strong through 2019 – from delicate halos to contemporary three stone rings to detailed galleries and more! 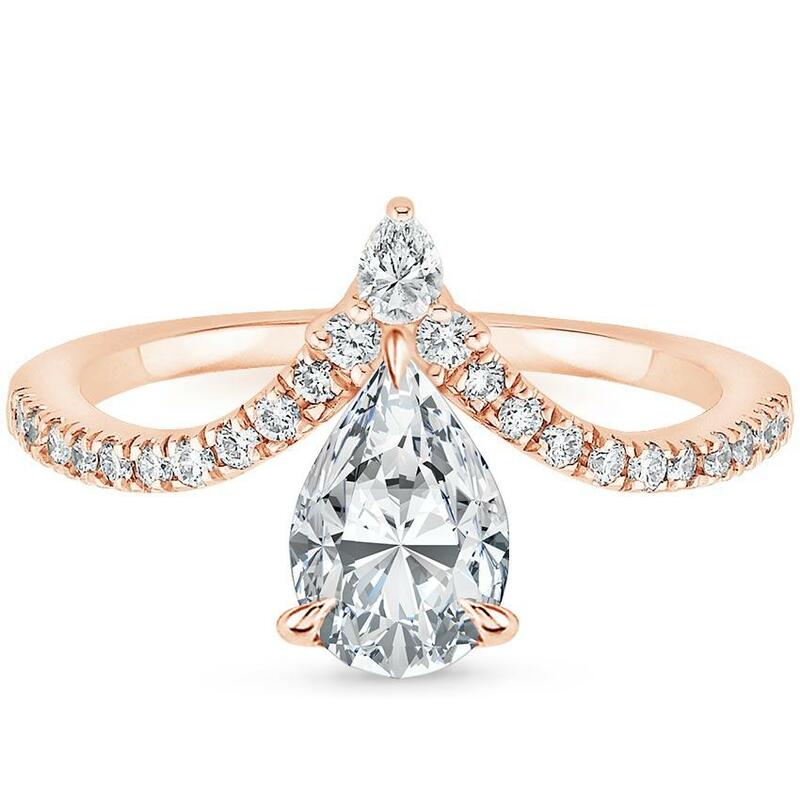 What often comes to mind when thinking of engagement rings is a traditional round solitaire. 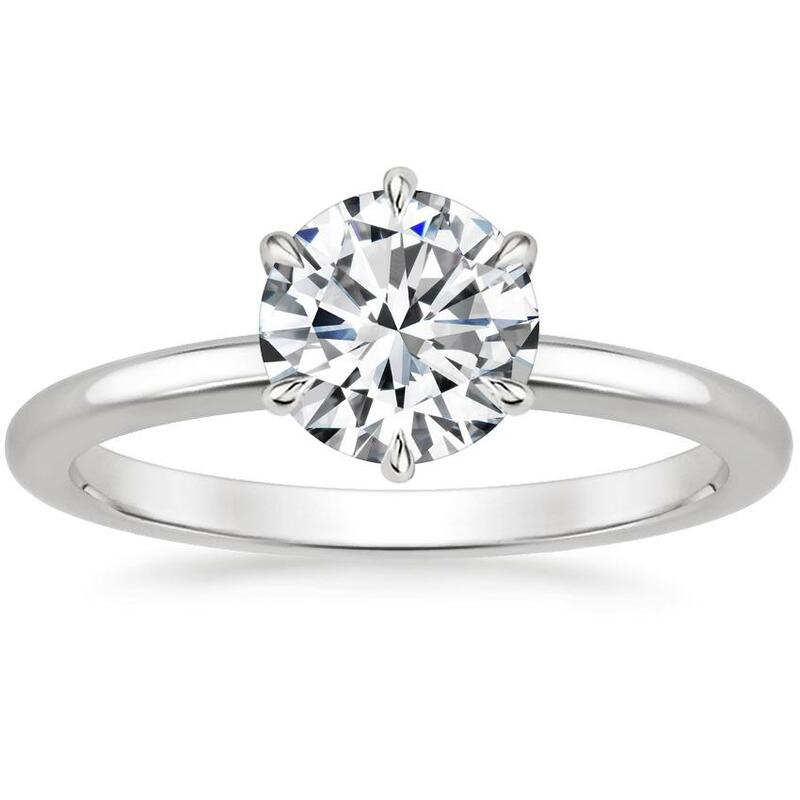 However, non-round or “fancy shaped” diamonds are becoming increasingly sought after! 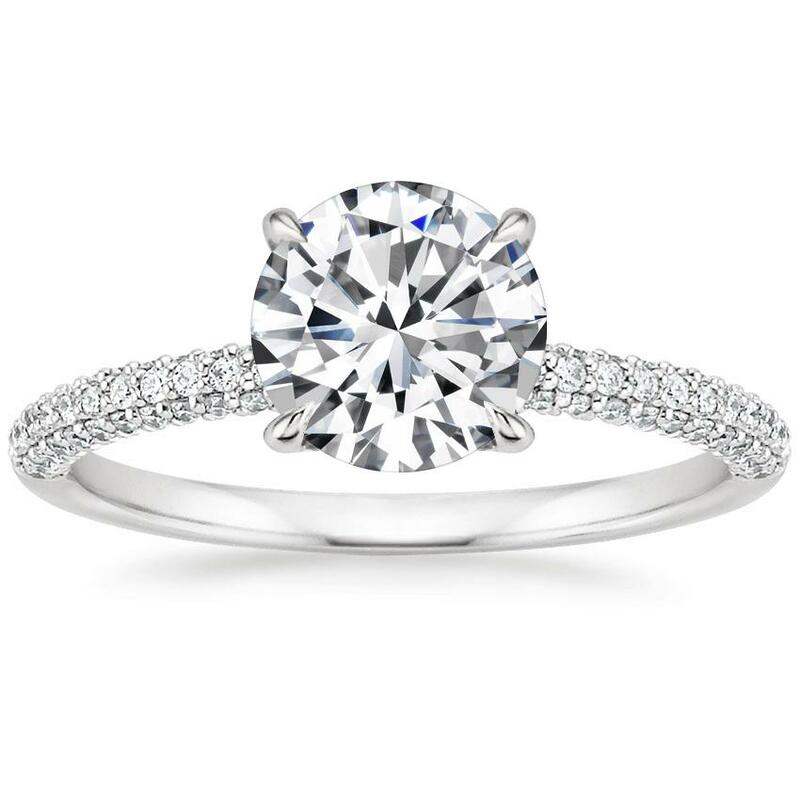 Oval and pear-shaped rings were particularly popular this past year, and while we expect their popularity to remain strong, we also anticipate seeing more interest in cushion cut diamonds. Many couples crave beautiful little touches that set a ring apart. 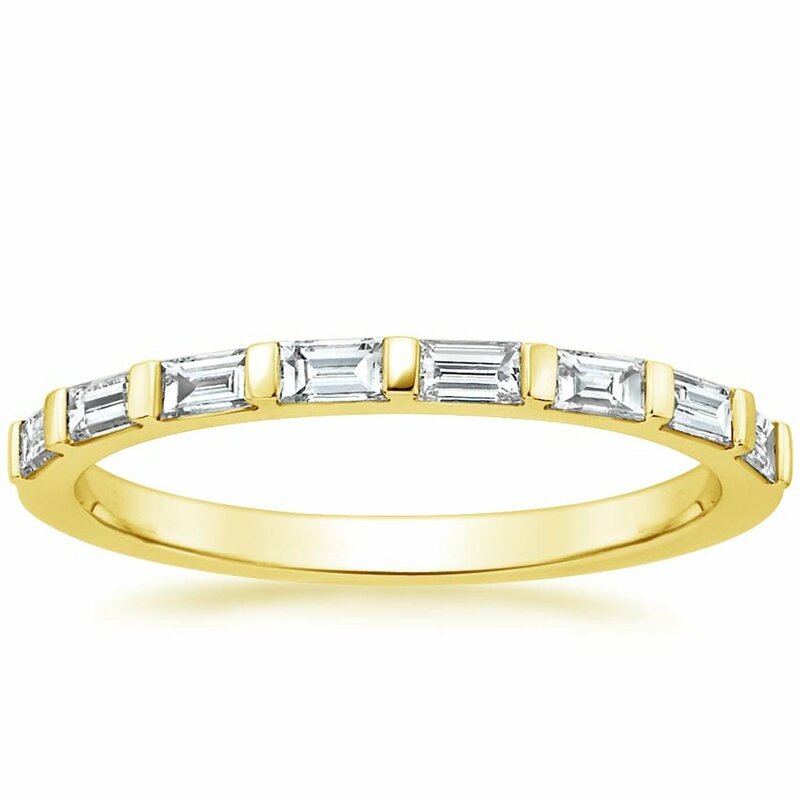 Accented galleries and surprise diamond details are a great way to add something special to an understated classic look. 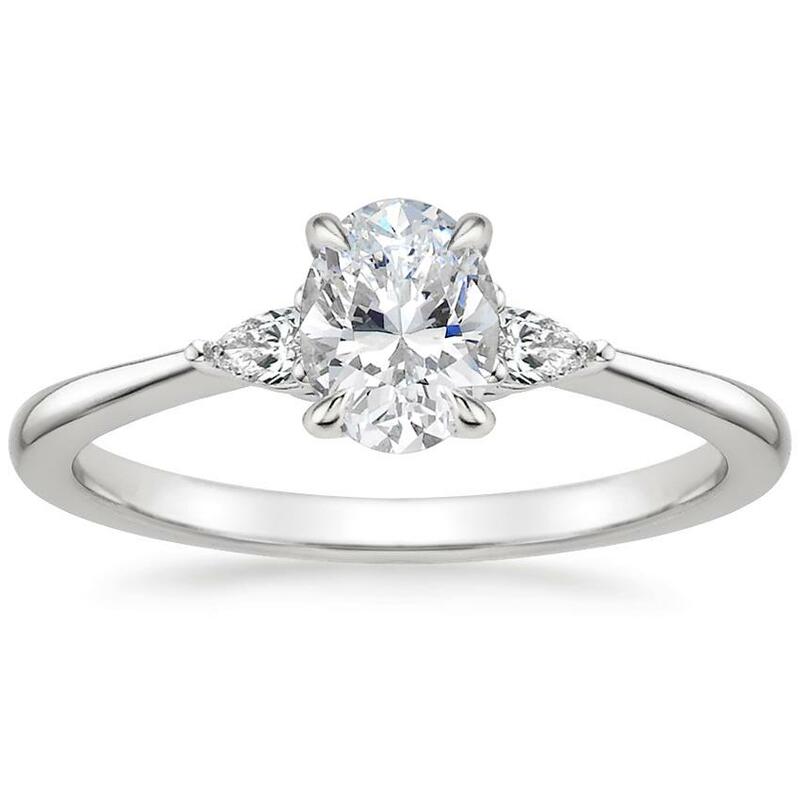 Since Meghan Markle and Prince Harry’s engagement, three stone engagement rings have been gaining a lot of attention! 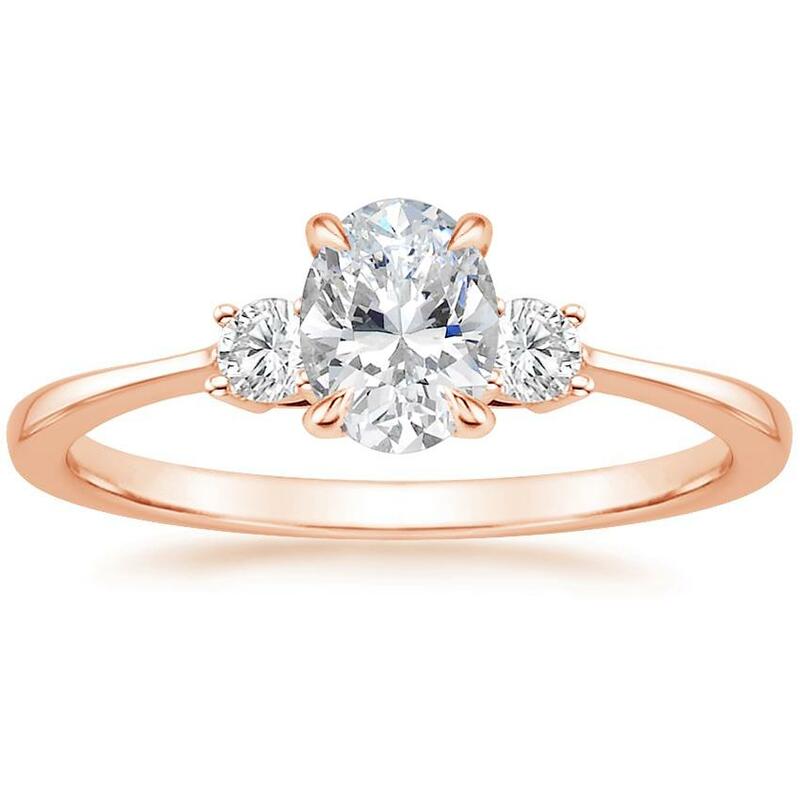 As the name implies, three stone rings, which are said to represent a couple’s past, present and future, boast a center gem accented by two diamonds or colorful gemstones on either side. 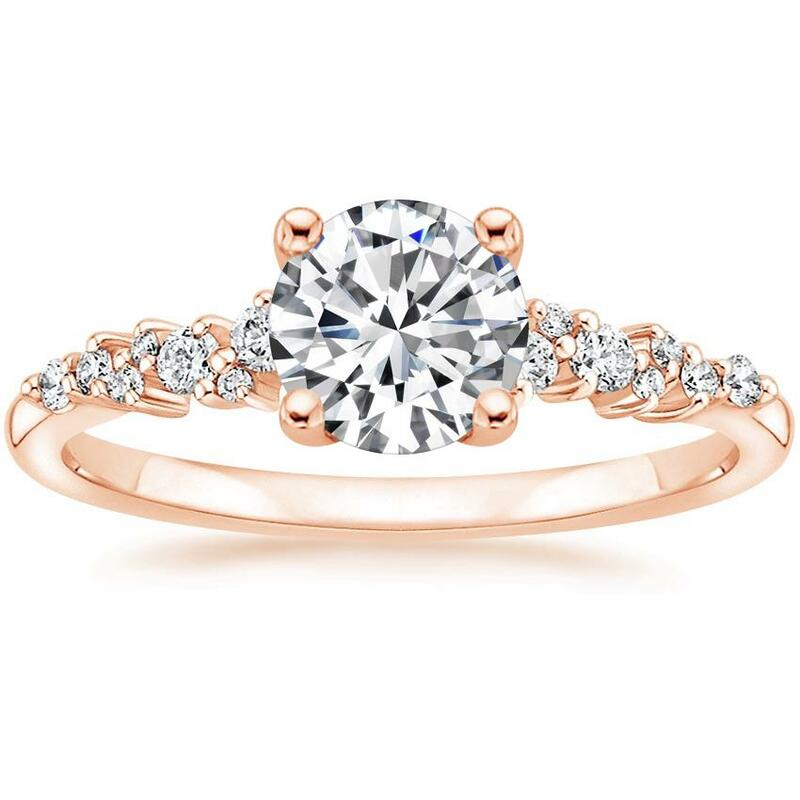 Increasing in interest for 2019 is the contemporary take on a timeless three-stone engagement ring, with fancy-shaped and unique accent gemstones including baguettes, trillions and pears, and elegantly thin bands. While there’s a moment for every metal type, yellow gold is on the rise for 2019. 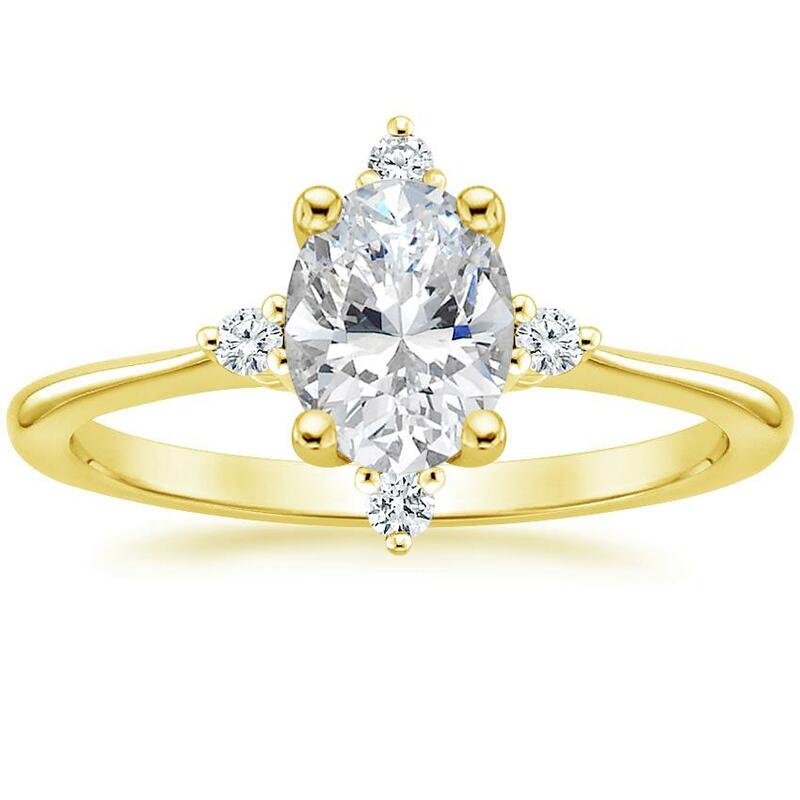 With celebrities like Meghan Markle and Emily Ratajkowski opting for yellow gold engagement rings, we don’t see this trend slowing down. 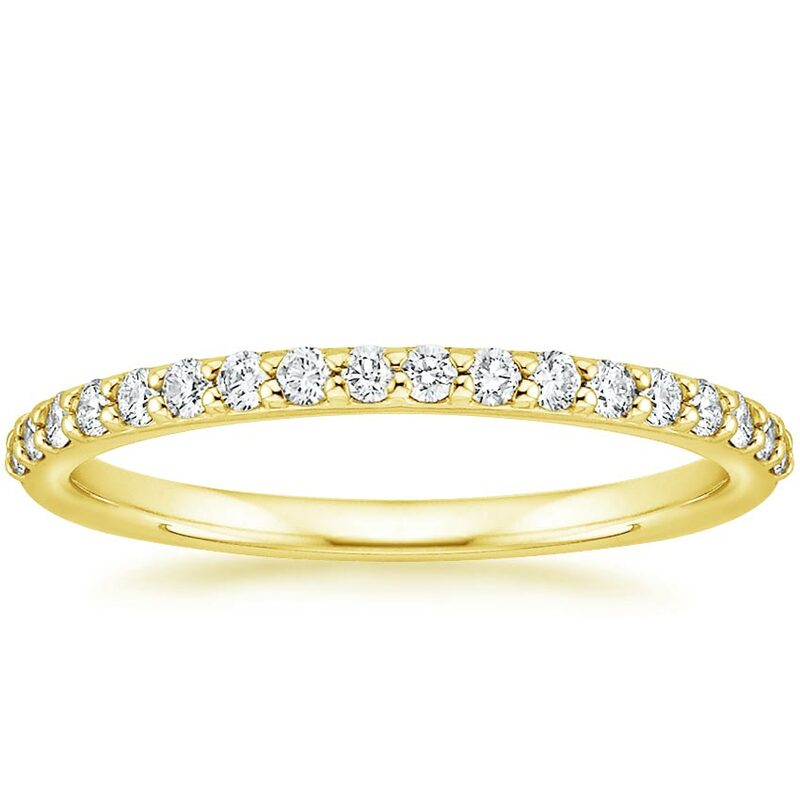 Yellow gold settings beautifully complement a stunning center diamond as well as other colored gemstones, and this lustrous precious metal works beautifully in classic, vintage and modern settings. 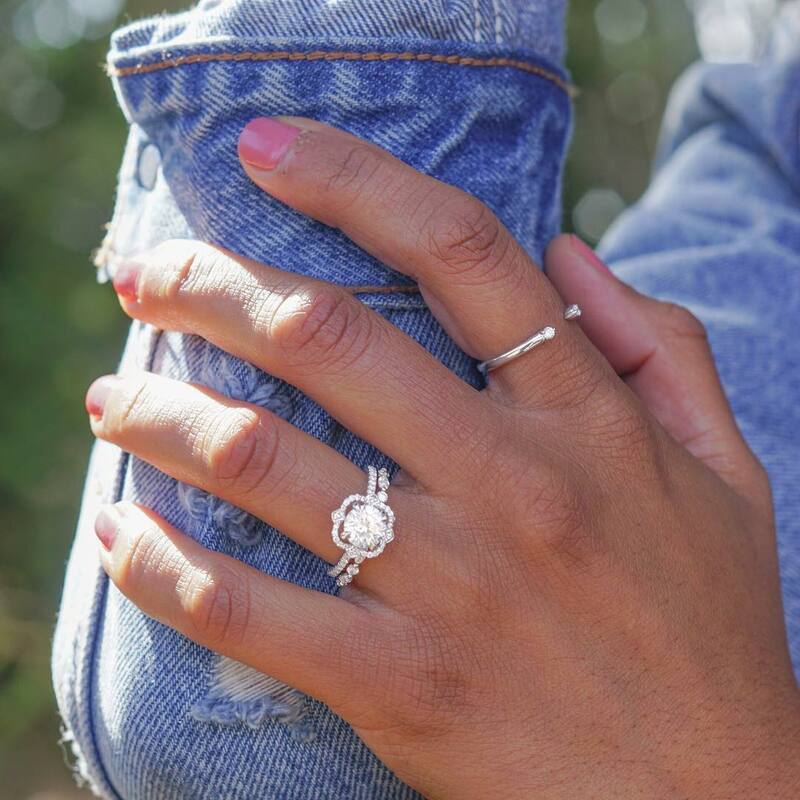 Whether brides are accessorizing their right hand, or augmenting a bridal set, a well-curated stack has the ability to make a stunning statement. 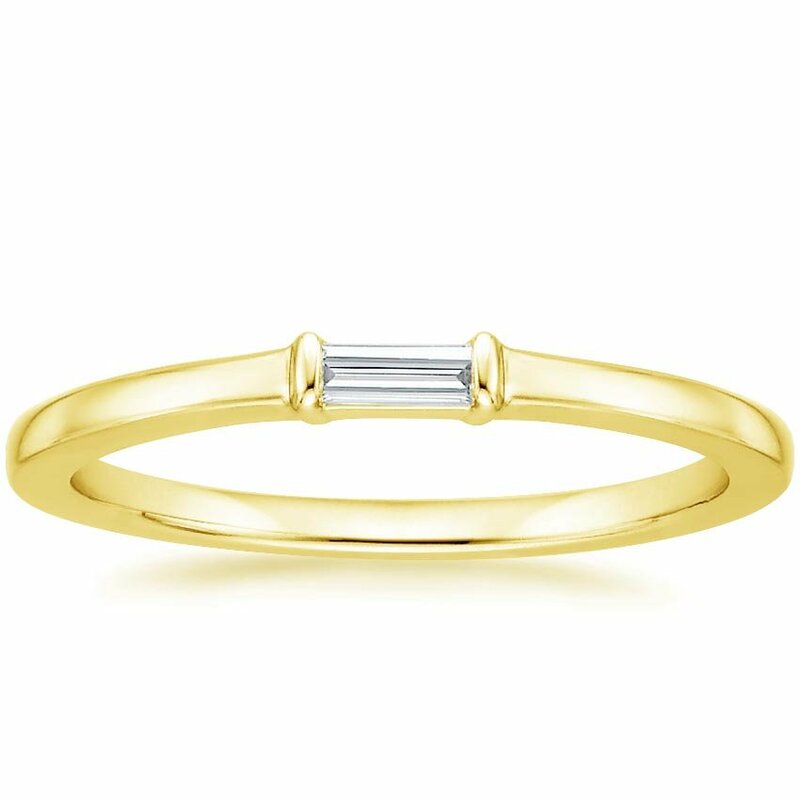 Brides have increasingly been seen adding multiple wedding bands to their ring finger or selecting styles that have a stacked look in one ring. 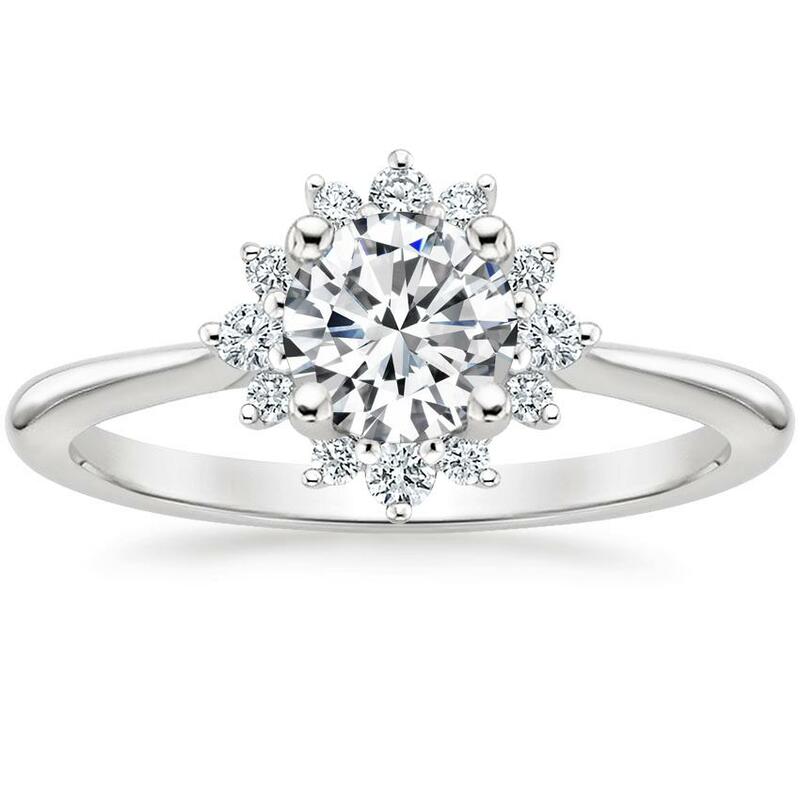 Halo engagement rings featuring traditional round and cushion shaped diamonds have been very sought after for the past few years, perhaps due to their elegant and glamorous look or because a halo of accent diamonds makes a center diamond appear larger. 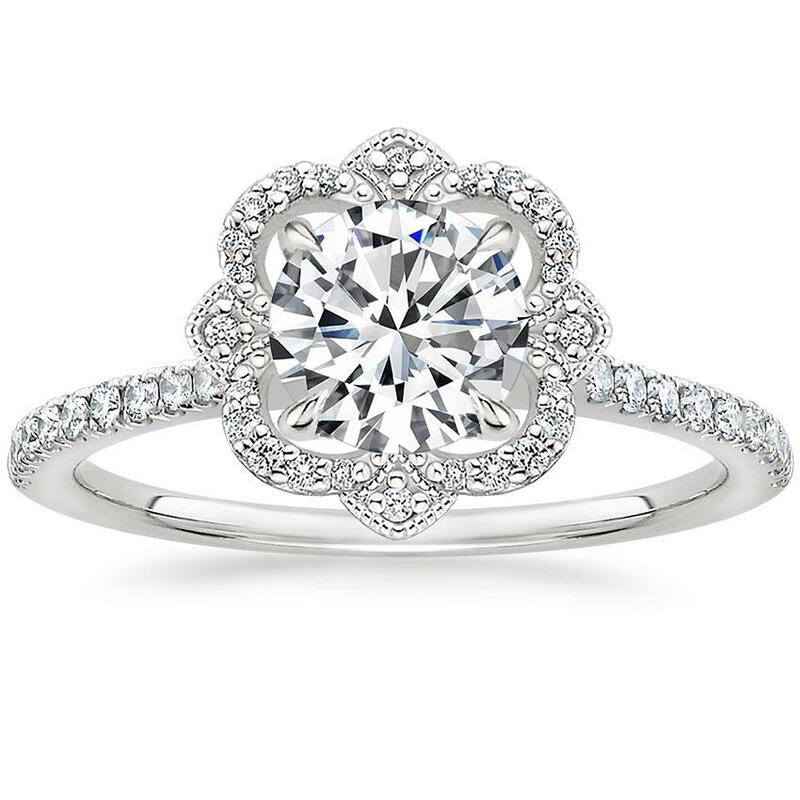 Now we see couples craving more distinctive halo designs with delicate details. 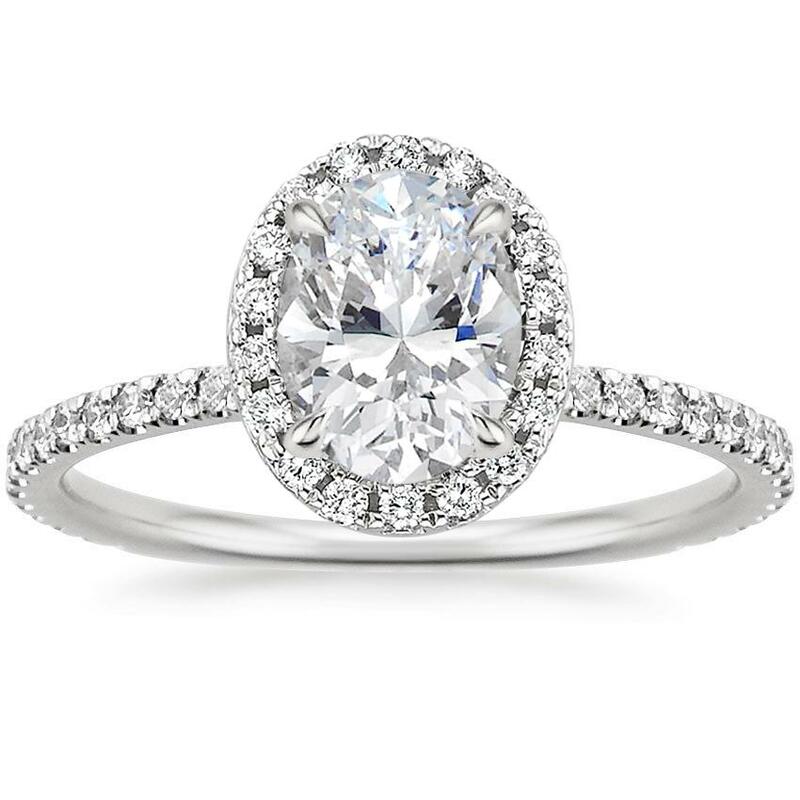 While today’s brides-to-be love the tradition of engagement rings, they don’t always want the rings to look traditional. An engagement ring featuring organic clusters of diamonds is a great way to express individuality and offers unique sparkle! Any of Brilliant Earth’s Create Your Own ring options can be made with a lab diamond as the center stone. Lab created diamonds are sustainable diamonds that have minimal environmental impact. 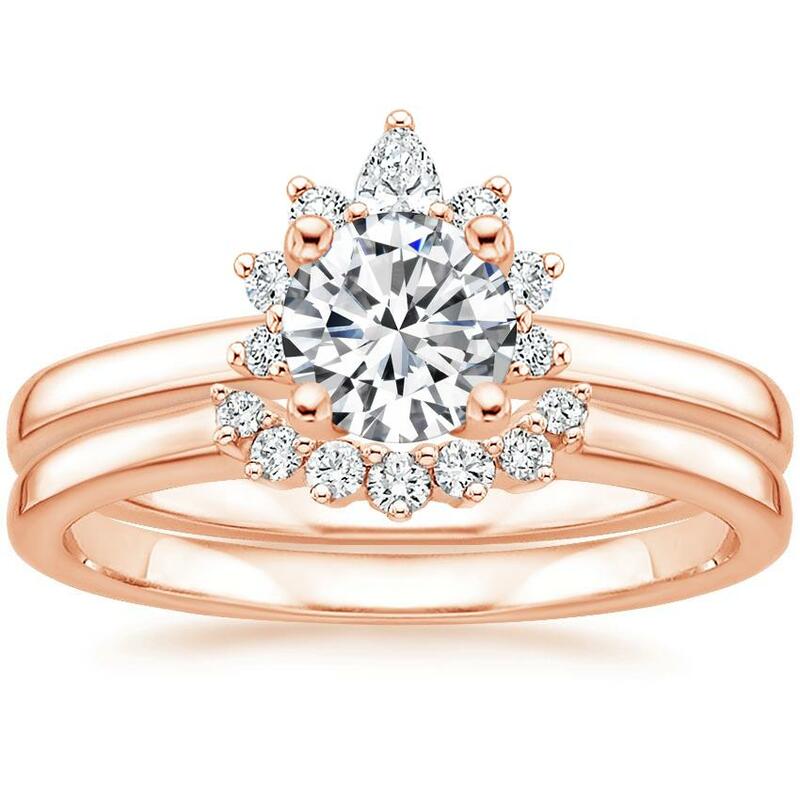 Which engagement ring trend are you loving? Let us know in the comments below or on our Instagram, Facebook, or Twitter! 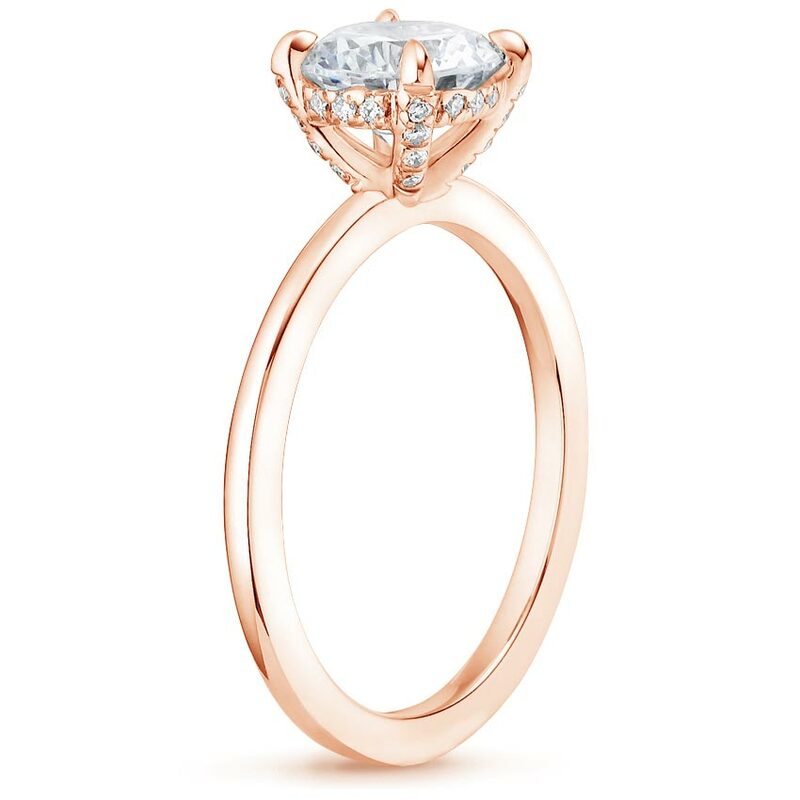 Can You Guess Which Engagement Ring is the Most Expensive?